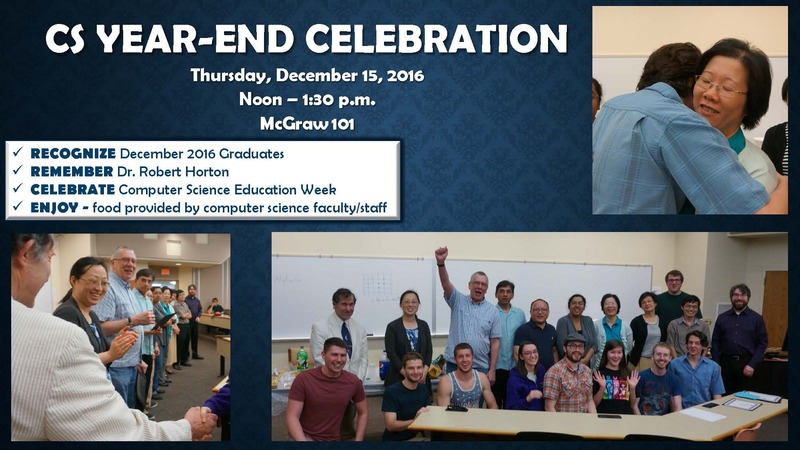 Thursday, December 15, 2016; noon – 1:30 p.m.; 101 McGraw Hall on UW-Whitewater campus. Contact cs@uww.edu for more information. The Department of Computer Science is seeking to add a new member to the department. The complete posting is at this link. Internship opportunity working in a mainframe environment for Summer 2017 with State of Wisconsin. Interested students should be juniors or seniors planning to graduate by May 2018. They should be self-motivated and attentive to details. If interested, contact our office (cs@uww.edu) for more details. Recommendation of a computer science instructor is required. Dr. Xinyu Zhang, Assistant Professor in the Department of Electrical and Computer Engineering at the University of Wisconsin-Madison. Dr. Zhang will introduce his group’s recent research that unleashes human fingers from touchscreen and onto ubiquitous surfaces. For more information. Wednesday, November 16, 2016. Click on poster for more details. 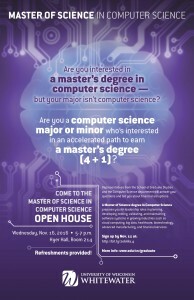 Master of Science in Computer Science Open House Wednesday, 11/16/16, 5-7 p.m., Hyer Hall, Room 214. 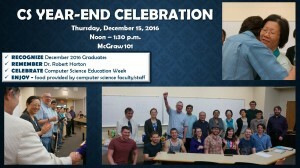 Colloquium: Ubiquitous User Interfaces for Small Mobile Devices, Friday, 11/18/16 noon, Hyer Hall, Room 215. AISHackathon, 11/18 and 19, Upham Hall. MATH Open House for UG Research, 11/15/16, 6:00 p.m., Laurentide Hall. These are unique and valuable experience. Please plan to attend! Looking for three candidates that have good technical troubleshooting and customer service skills. The training program will start at the end of November. We will also have additional training during Winterim 2017 break. Job description can also be found on Hawk Jobs. The Job ID is 60656 – Technology Support Center Technician.